I'm linking up with Natasha today to show off my little skeletons! 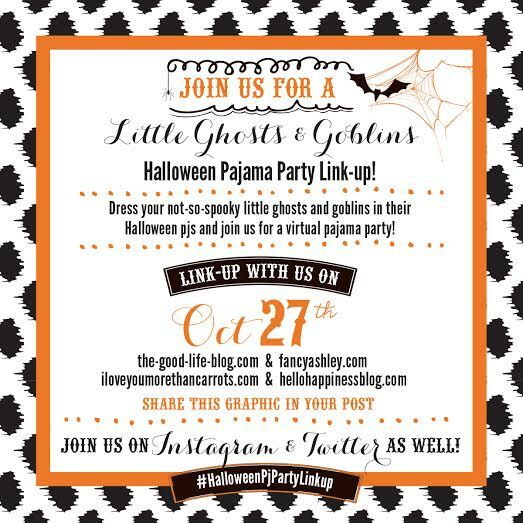 Last year I spotted a great deal on adorable Halloween PJs at the Gap Outlet ($5 each!) so I guessed on sizes and luckily they fit this year (just barely!) Carter thinks they are awesome and Reid, well he'll wear anything! Thanks! It took about 30 pictures to get this one! Toddlers, mobile babies, and poor photography skills really don't work well together!